Behold: every complexion's best friend, the Beautyblender. The teardrop shape in a signature hot pink has become a must-have for makeup artists and cosmetics amateurs alike, and for good reason. The sponge is soft and bouncy, perfect for getting that flawless finish we all want, while the unique shape contours to your face so no spot goes uncovered. It works with everything from foundation and concealer to skincare products, always delivering a seamless look that makes your skin appear naturally smooth. With so many uses and such great results, it's safe to say that the Beautyblender revolution is still going strong after all these years—and we're not sad about it. But with time and use comes dirt and oil, left behind by every application with the trusty little sponge. We're well aware of the horror stories that have come out of an unkempt Beautyblender—mold, for one!—so we are careful to treat it with respect. Thankfully, there are many ways of keeping it clean, ranging from the Beautyblender brand cleansers to some more off-the-wall tricks. We reached out to Kelli J. Bartlett, director of makeup artistry at Glamsquad, for her best tips when it comes to cleaning our favorite tool. Keep reading to find out the best ways to clean your Beautyblender! "Wash them immediately!" says Bartlett, as this is the first and foremost way that you can keep your Beautyblender in top shape. The less time product stays on the sponge, the better. "Don't let them sit with products for too long, or they will stain." The Beautyblender creators made two cleansers specific to their cult-favorite product in order to encourage users to keep up with washing the sponge. There's the Liquid Blendercleanser ($18), which works just like any other—wet the sponge, pour some on, and gently massage until the water runs clean and your Beautyblender is restored to its vibrant glow. If the stains are stubborn, Bartlett recommends allowing the soap to sit with the sponge for a few minutes to loosen it. 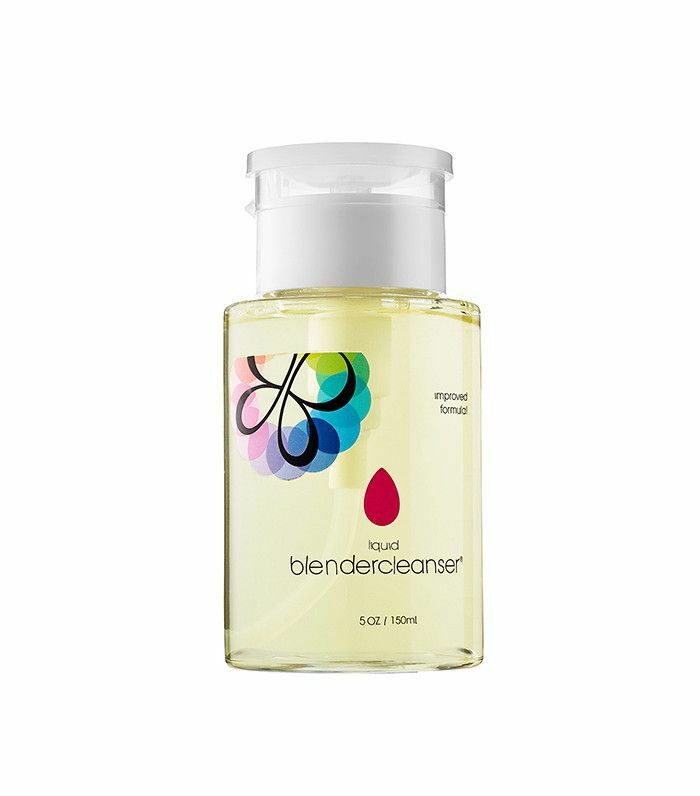 Or even more popular is the Blendercleanser Solid ($16), which allows you to simply rub a wet Beautyblender directly onto the bar. Both are effective choices for cleaning your beloved tool. Beautyblender's liquid cleanser option features a soy-based formula that's as good for your sponge as it is for the environment. It's powerful enough to eradicate pesky stains but gentle enough to ensure that your Beautyblender will last for months and months. 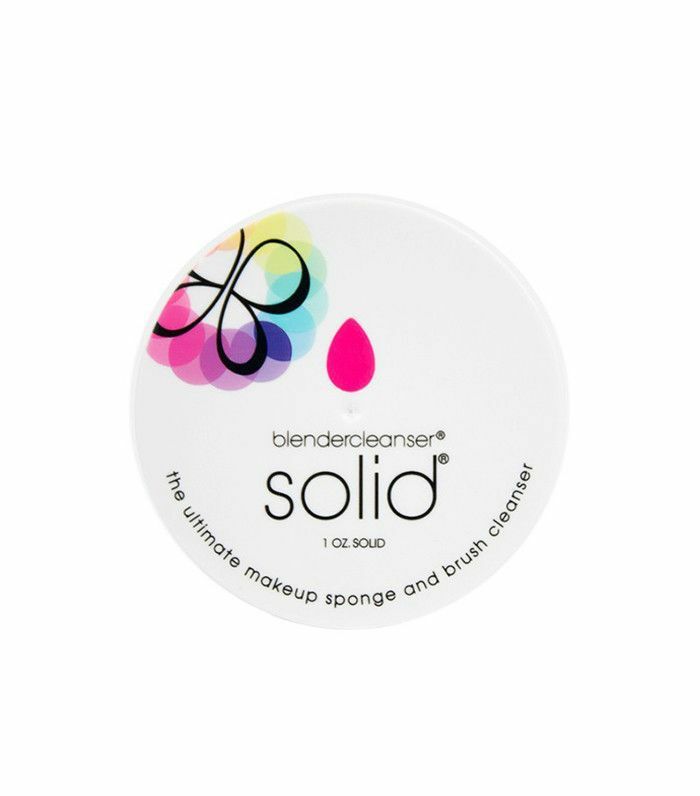 The solid Blendercleanser, conveniently housed in a small compact, is a mess-free option when it comes to cleaning your sponge. The bar form makes cleansing quick and easy, so there's no reason why your sponge should go unwashed. The downside of the Beautyblender brand cleansers, however, is the price. If you're washing your Beautyblender every day (which, ideally, you should be! ), this might not be the most cost-effective choice. Thankfully, using your face wash can provide the same effect. This is super convenient, especially if you use the same one you already own, and can be a much cheaper option if you grab a generic brand at the drugstore. There's a reason the Beautyblender solid cleanser is so popular: It's easy, and it works. 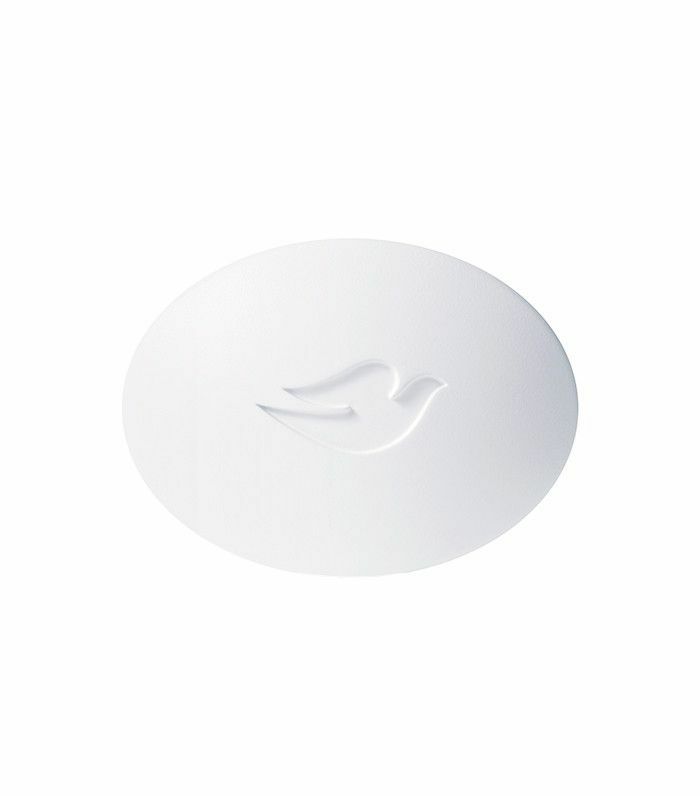 Make this a more budget-friendly option by using any bar of soap—one drugstore favorite is Dove's Beauty Bar ($6) since it's inexpensive and effective. Rub a wet Beautyblender sponge onto the bar, and watch stains disappear. In a pinch, Bartlett likes to use Palmolive dish soap to cleanse her Beautyblender. "It breaks down oil and grease, sanitizes, and isn't too harsh on the sponge due to the conditioners [it contains] for hands," she says. We especially like this trick because it's convenient, as it only requires a product that you probably already own. Go ahead—grab those scissors. It might seem painful to cut up your trusty Beautyblender, but we promise that it'll all be worth it when you see completely new, untouched surfaces to work with. Of course, this should be used as a last resort, since you'll still want to be cleaning product off the surface of the sponge after every use. If you've ever tried double-cleansing for your face, you definitely know how effective pairing an oil-based cleanser with a water-based cleanser can be. Translate this technique to your Beautyblender by soaking in oil to loosen up leftover makeup and unwanted stains, then rinse and follow with a foaming cleanser to get rid of residue. Storing the sponge correctly can be a make-or-break factor in the lifespan of your Beautyblender. Always let it dry completely after use in an open space, never in a plastic bag, as this will prevent mold from forming. And Bartlett recommends shying away from any colored bags when packing it up too. The colors might transfer and stain the tool.